Over the past fifteen years I have witnessed a fascinating phenomenon. Even as the professional organizing industry was exploding, I discovered a small population whose needs were not being addressed, or even acknowledged. This population was made up of students, and disorganization affected nearly every aspect of their lives. They felt like they were falling apart, couldn't find what they needed, and couldn't get their work done. While adults with these same complaints were being taught organizational and time management skills, children were dismissed as lazy, irresponsible or hopelessly messy, and told that they just need to try harder. Over the years, I discovered that the effects of disorganization reached farther than I expected. 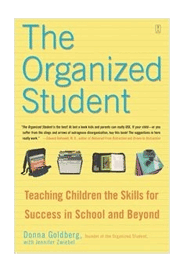 I also realized that a basic set of organizing tools could mean the difference between success and failure for students, in school and beyond.